Posttraumatic stress disorder (PTSD) has been associated with an altered processing of threat-related stimuli. In particular, an attentional bias towards threat cues has been consistently found in behavioral studies. However, it is unclear whether increased attention towards threat cues translates into preferential processing as neurophysiological studies have yielded inconsistent findings. The aim of the present study was to investigate the neocortical activity related to the processing of aversive stimuli in patients with PTSD. 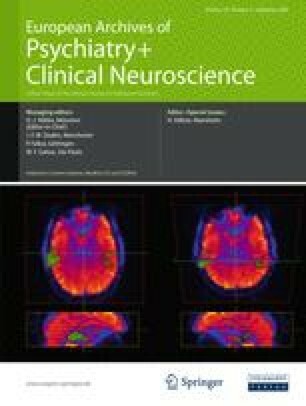 36 survivors of war and torture with PTSD, 21 Trauma Controls and 20 Unexposed Subjects participated in a visual evoked magnetic field study using flickering pictures of varying affective valence as stimulus material. Minimum norm source localization was carried out to estimate the distribution of sources of the evoked neuromagnetic activity in the brain. Statistical permutation analyses revealed reduced steady-state visual evoked field amplitudes over occipital areas in response to aversive pictures for PTSD patients and for Trauma Controls in comparison to unexposed subjects. Furthermore, PTSD patients showed a hyperactivation of the superior parietal cortex selectively in response to aversive stimuli, which was related to dissociative symptoms as well as to torture severity. The results indicate a different pattern of cortical activation driven by aversive stimuli depending on the experience of multiple traumatic events and PTSD. Whereas, a decreased visual processing of aversive stimuli seems to be associated with trauma exposure in general, the superior parietal activity might represent a specific process linked to the diagnosis of PTSD. We are grateful to all subjects who took part in the study. Research was supported by the Deutsche Forschungsgemeinschaft (DFG) and the European Refugee Fund (EFF). The authors would like to thank Heike Riedke for logistical support, the outpatient clinic staff for clinical support, Ursula Lommen for helping with MEG data acquisition, Stephan Moratti and Christian Wienbruch for technical advice, Sonja Haas and Steivan Pinösch for helping with entry and administration of data, and Katy Robjant for editing. Authors declare they have no conflict of interest. The corresponding author had full access to all of the data in the study and takes responsibility for the integrity of the data and the accuracy of the data analysis.